Pour orange juice into small saucepan and reduce over med-high heat until syrupy, 5 to 7 mins. You should be left with about 1 Tbsp. Combine all ingredients except oil in blender. With blender running, slowly add oil in slow steady stream until emulsified. Makes 1 cup. 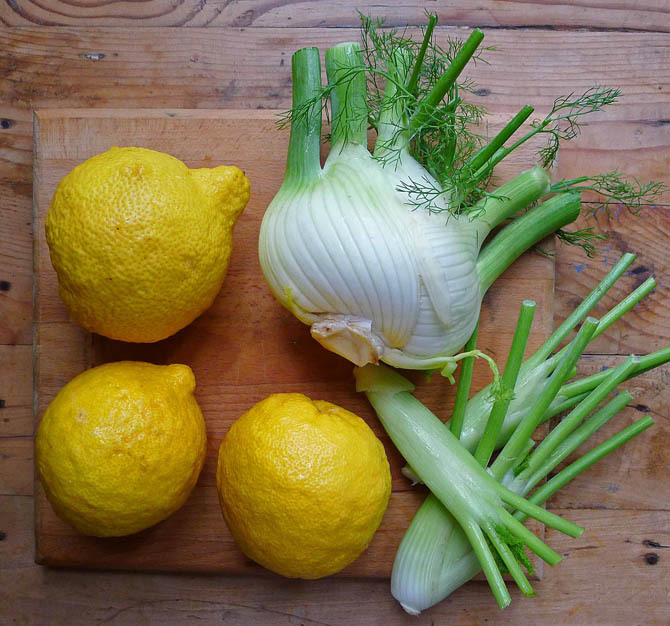 Using mandolin, carefully slice the fennel into paper thin shavings. Tear butter lettuce into pieces, place in large bowl. Add all herbs & seasonings, toss with dressing to coat. Top with shaved Pecorino and candied zest.